So, here’s how this is gonna work. 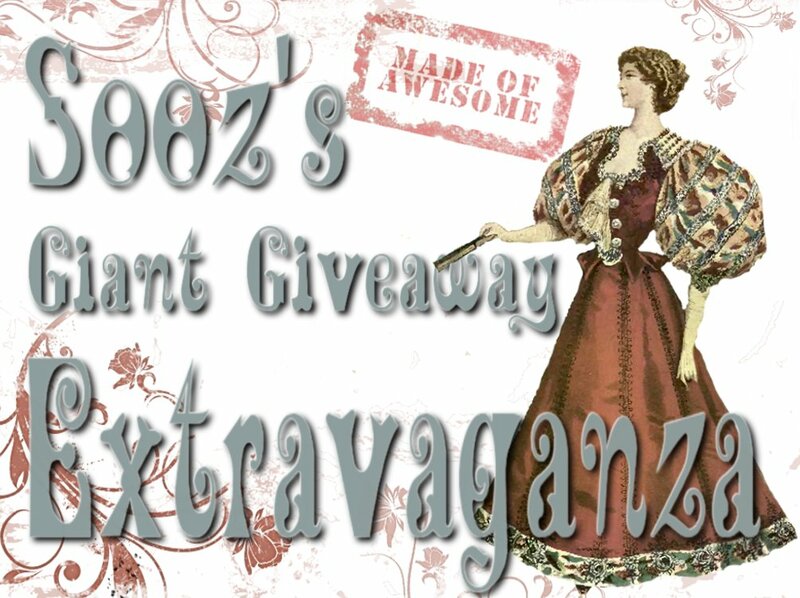 There will be a new Extravaganza prize every day of this week, so come back daily to enter the drawing for that day’s prize. I will draw names from a hat next week! Leave a comment for that day’s prize. And that’s it. If you want to follow me on Twitter too, you may — but you don’t need to. This Extravaganza is about spreading the love around! I’m like a Susan-Santa — ho, ho, ho, and all that jazz. If you do tweet or blog, please leave another comment letting me know. Suzie-Q is a former follower, and she enters her name into the comments (+1) on Day #1. She also tweets (+1) and blogs (+2) about the contest on Day #1. That means: Suzie-Q will get her name entered into the hat 4 times for prize #1, and she’ll get the pre-follower bonus gift. The next day, Suzie-Q enters a comment (+1), tweets (+1), and blogs (+2) about the contest — meaning her name will be entered 4 times for prize #2. Comprendes? Est-ce que tu comprends? Verstehst du? Understand? If you have questions, leave ’em in the comments today — I promise to answer! Stay tuned for the first round of giveaways! They will begin later today. YAY! ***For people who are already followers, you will automatically win a special Already Follower Prize. But to win that automatic prize, you must first enter one of the giveaways. And…don’t expect much. I’m not loaded with riches, and I’m not really Santa. But I do want to reward the people who’ve been supporting me this long!